I am Brad Plummer, owner and operator of Mr Plummer. I started my plumbing career back in 2002, where I moved to Coffs Harbour from the Manning Valley to start my apprenticeship. I remained with the same company for 13 years, until I knew it was time to start my own plumbing Business. I believe in hard work and putting the clients needs first. I have just employed a young local as an apprentice, Braydon. I believe in passing my skillset on and give the opportunity for this young man to make a career out of our trade. Now into my 15th year as a plumber, drainer and gasfitter I have seen it all, which gives me a quick prognosis of the problem and the best way to fix it, which saves the customer time and money. At Mr Plummer we are always trying to exceed our customers expectations. I provide a service that includes rapid response to emergency work, we are polite and well mannered, and always clean up after our work is completed which is not a common plumbing trait. We are keeping up to date with regulations, and technologies. Some of our new equipment is cutting the time to do jobs down to half, which we can pass the savings on to you, the client. On arrival to a job, We talk with the customer about what need’s to happen, and keep them up to date with any changes so there are no nasty surprises at the end of the job. We take the safety of our tradesman and the general public very seriously and follow occupational health and safety requirements on each job. 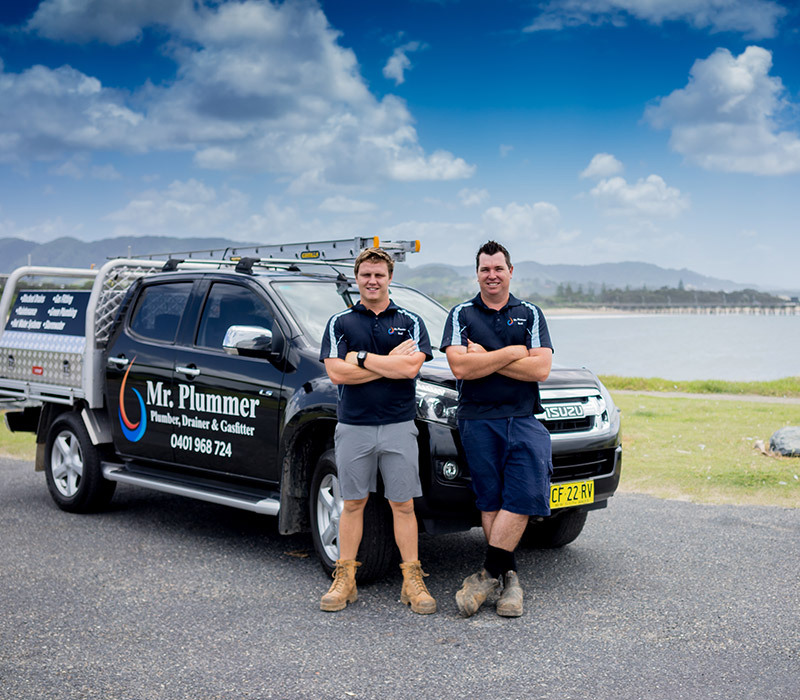 There is no job too big or small, call me Mr Plummer today, your Coffs Harbour plumber.